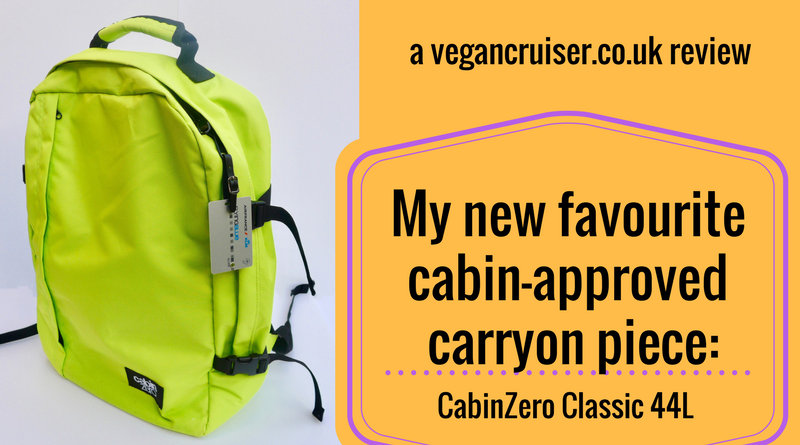 Imagine my joy when I discovered that a bag brand already endorsed by my favourite TV cruise personality Jane McDonald was also vegan-friendly. I had to find out more – and I did. 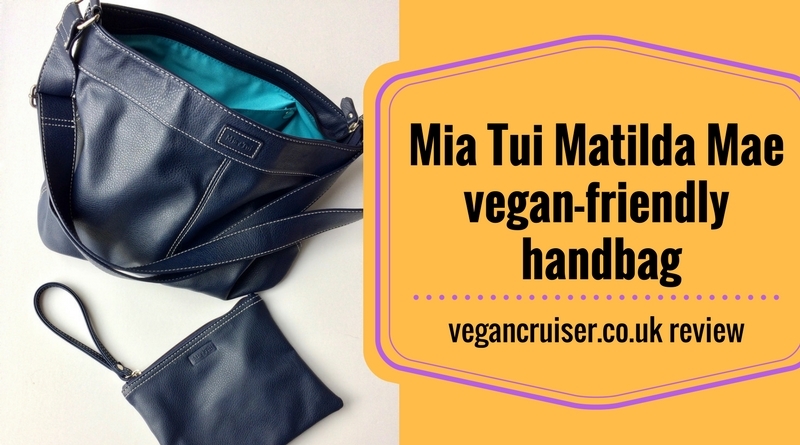 I was given Matilda Mae in navy blue to review.. but what did I think of it? Find out more! 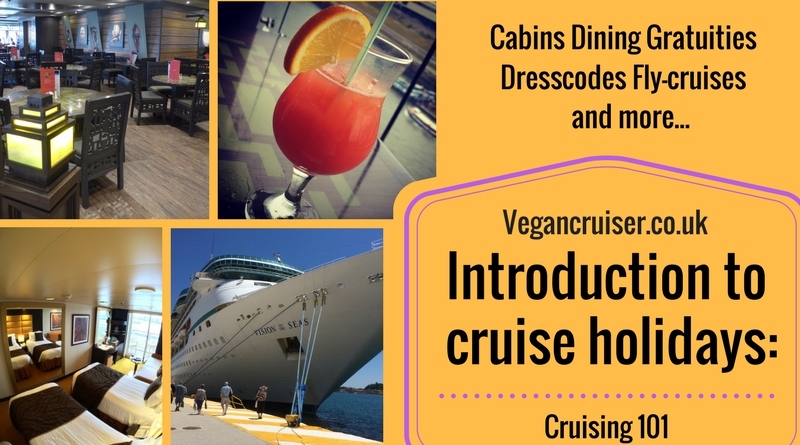 Earlier this spring Oceania Cruises put out a press release about a brand new vegan menu onboard their six ships. Well, I just had to find out more about them and the food on offer. I got to visit MS Nautica in Greenock this autumn. 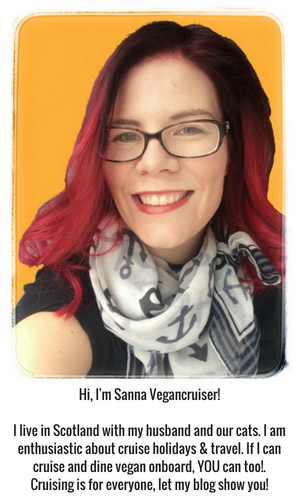 Join me for the first part of my two part series – discover the brand and the menu! 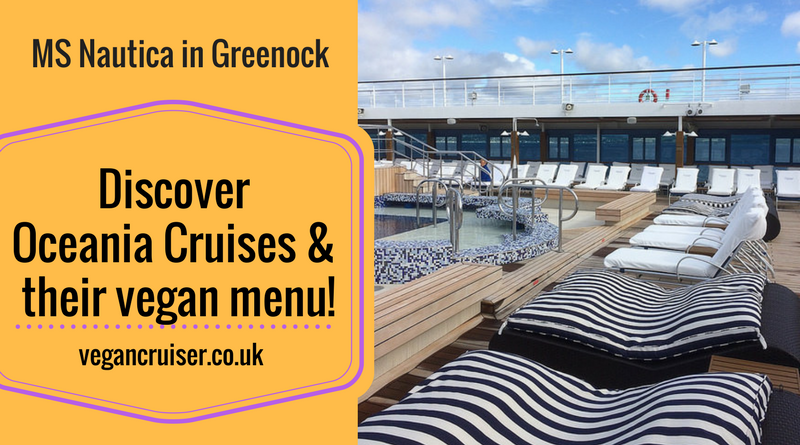 Want to book a lovely, romantic getaway and do cruising boutique hotel style? 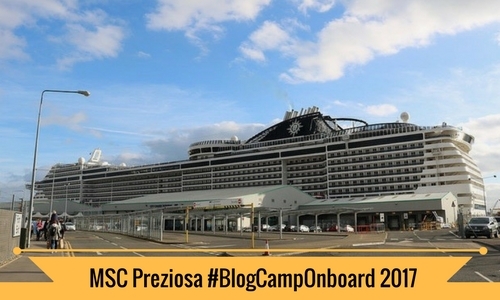 Think I have something that will be just the thing: Celebrity Cruises’ fabulous Solstice class of ships. 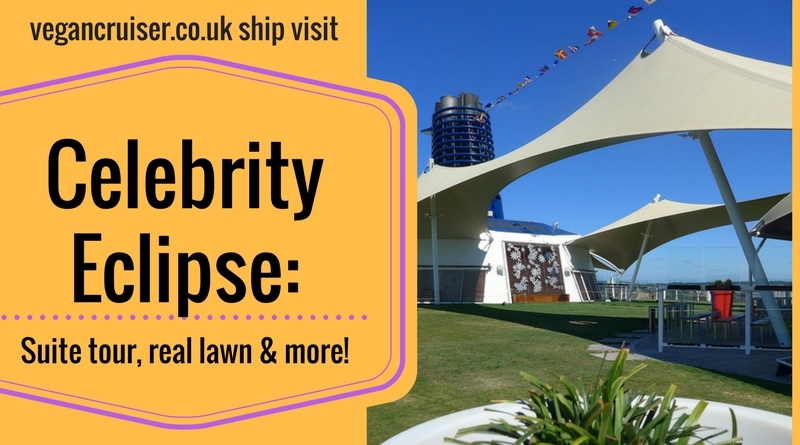 Join me onboard Celebrity Eclipse for a ship visit: a tour including the stunning suites, Aqua Class balcony cabin & the half-acre real Lawn Deck. And a floating tree. Yup, you heard me. 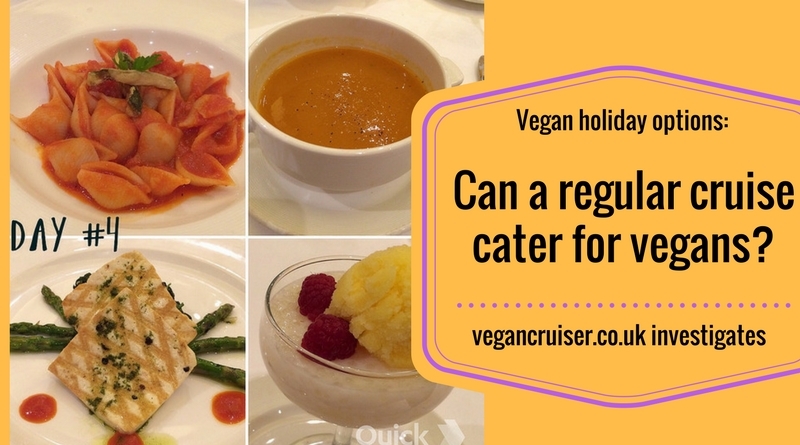 The question on every vegan’s mind when booking a holiday usually is ‘will they be able to cater for me’? 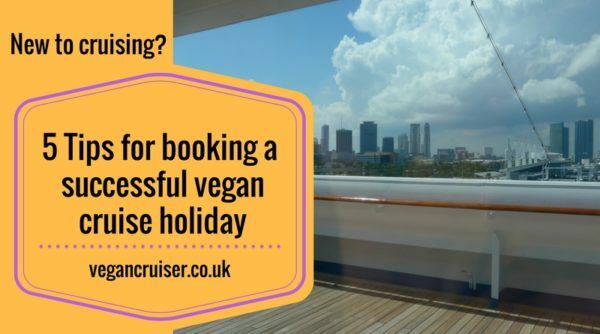 What if you travel with omni partner or family and the only option for your cruise holiday is a regular cruise? 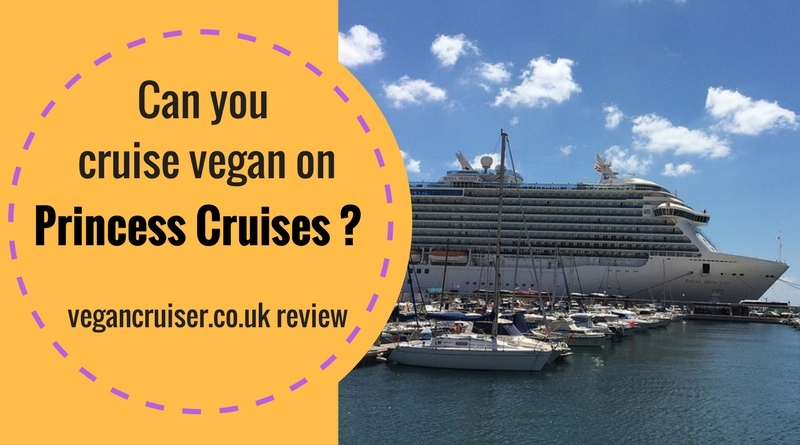 Will they be vegan-friendly? 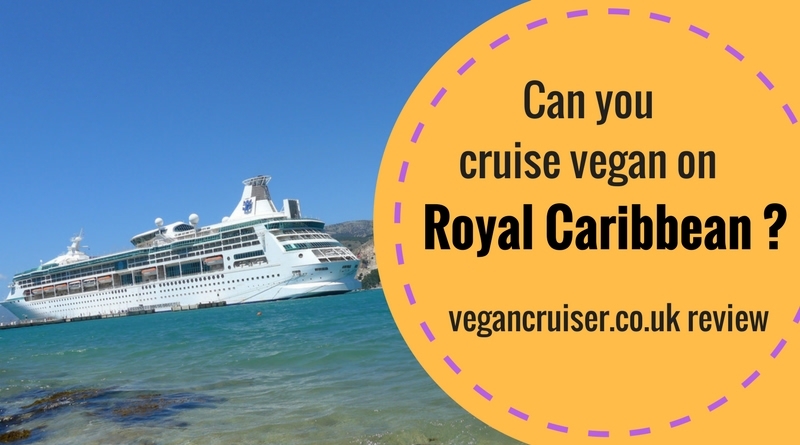 Find out what popular cruises can do for you – you may get pleasantly surprised!